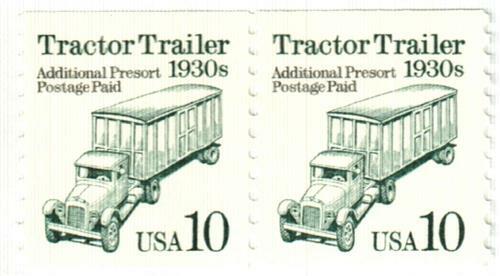 A familiar sight on today's roads and highways, the tractor trailer is actually two individual units which usually are manufactured by two different companies and purchased separately. 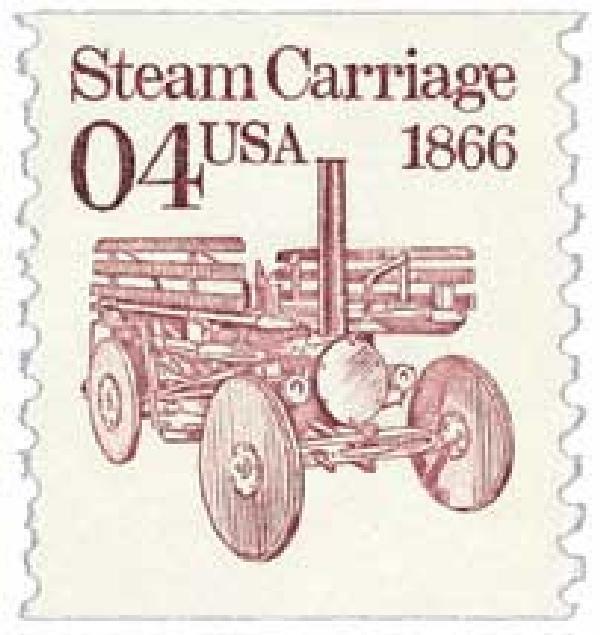 The tractor contains the engine and the driving unit, called a cab. 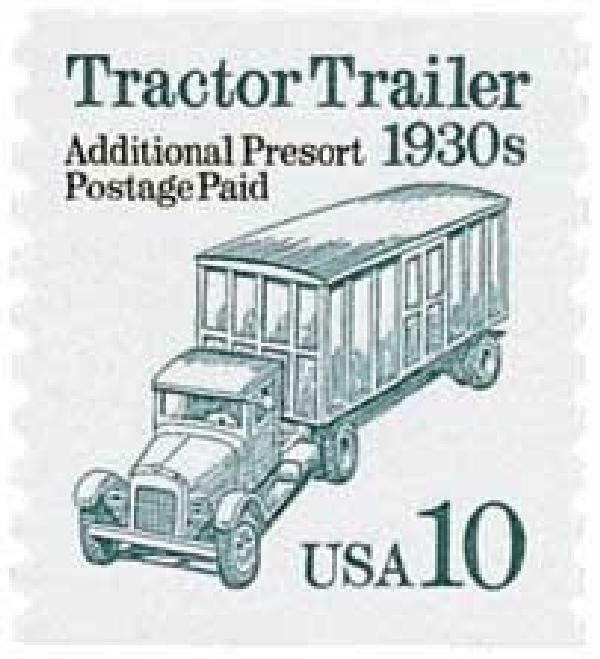 The trailer, which has wheels under the rear, rests on the back of the tractor. 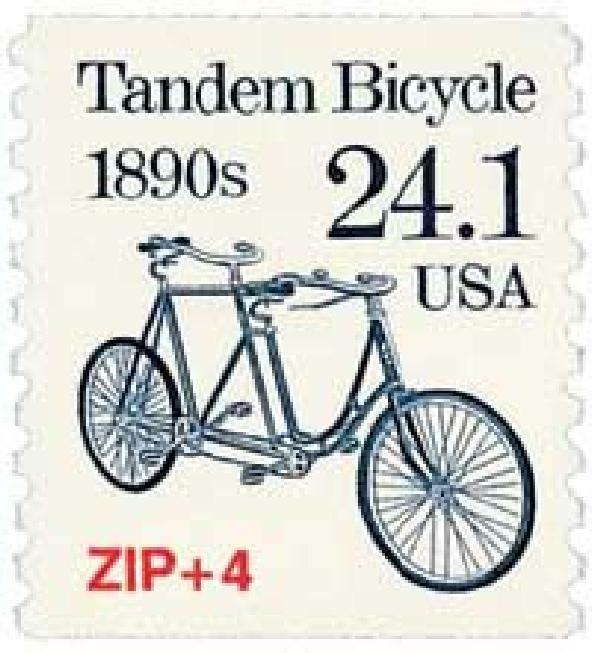 A round disk attaches the two units and allows them to turn separately. 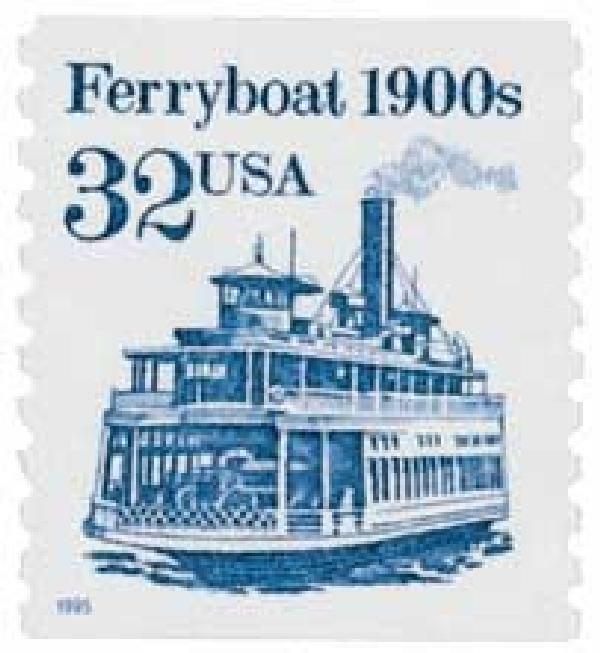 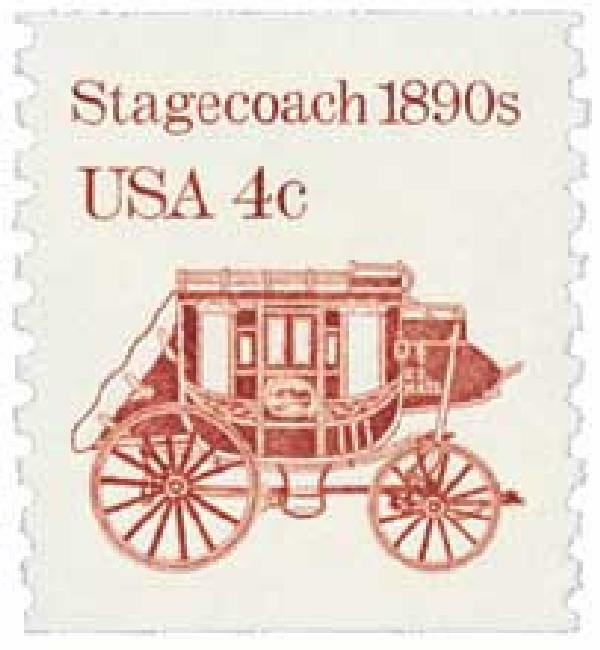 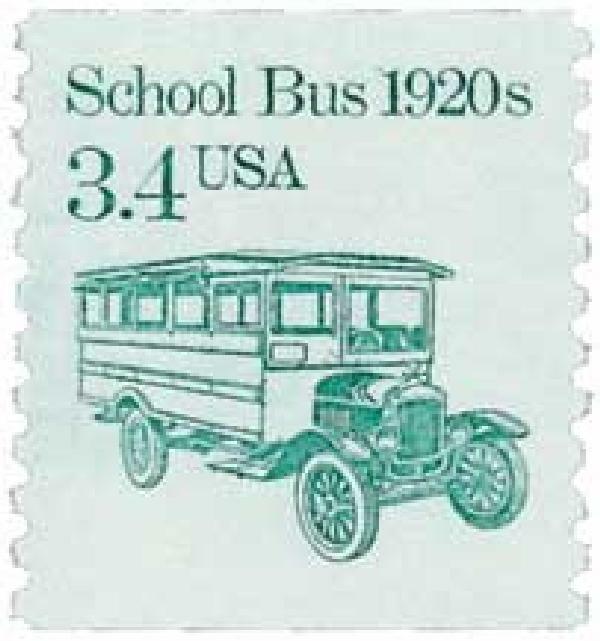 U.S. #2457 is part of the popular Transportation Series. 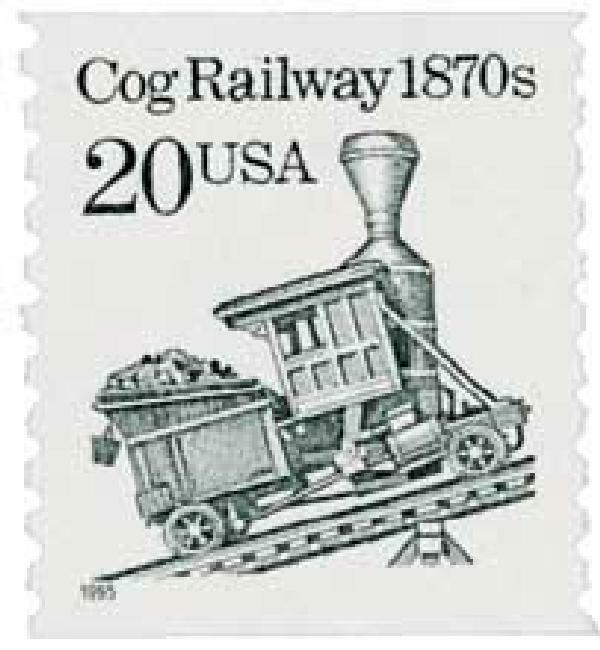 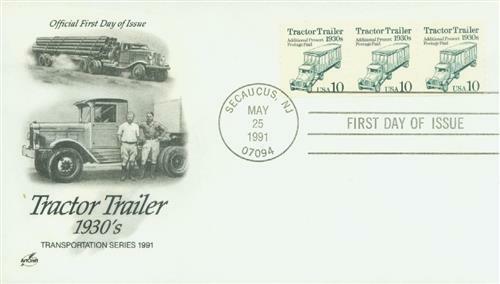 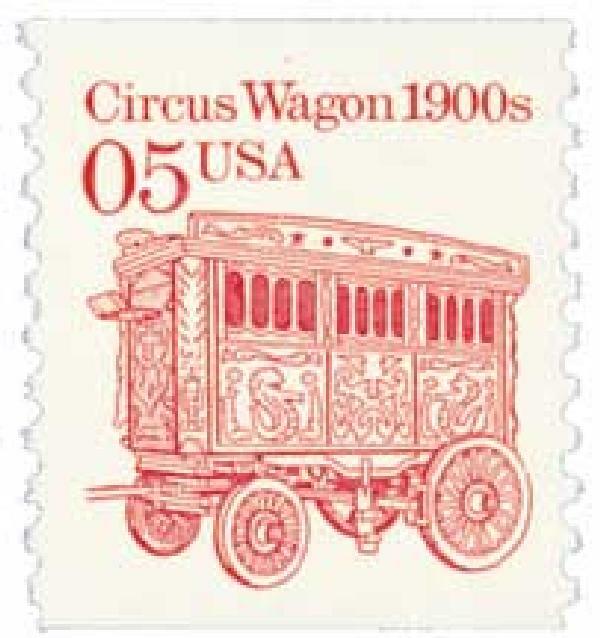 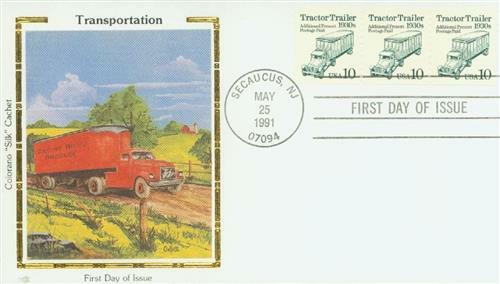 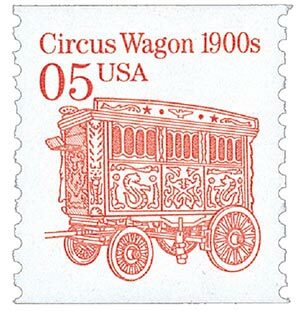 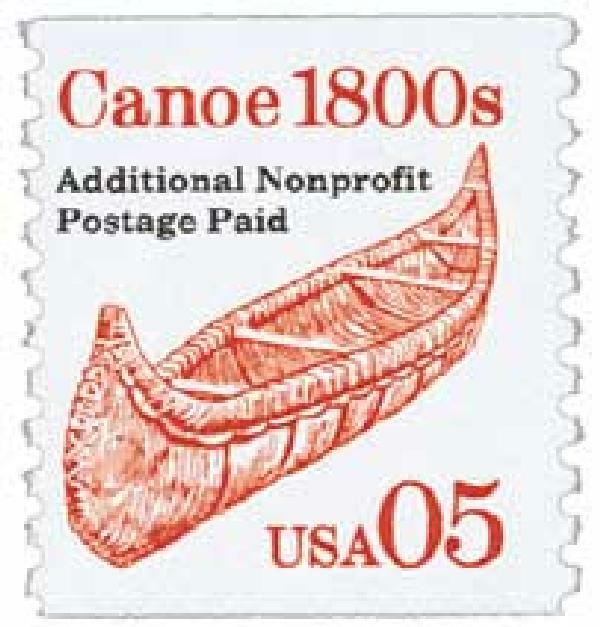 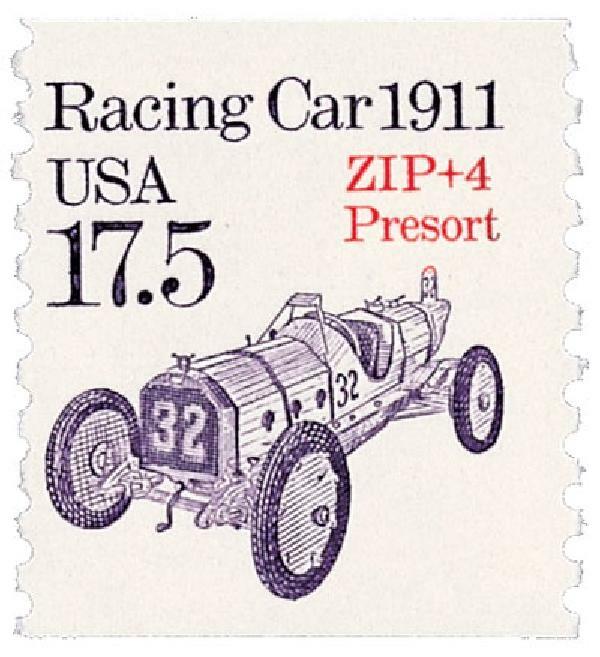 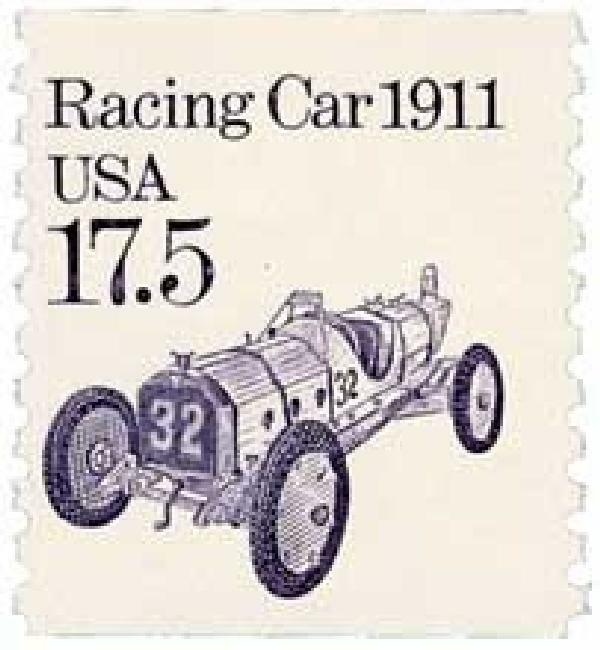 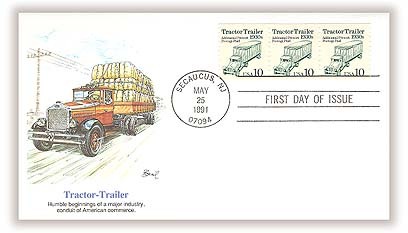 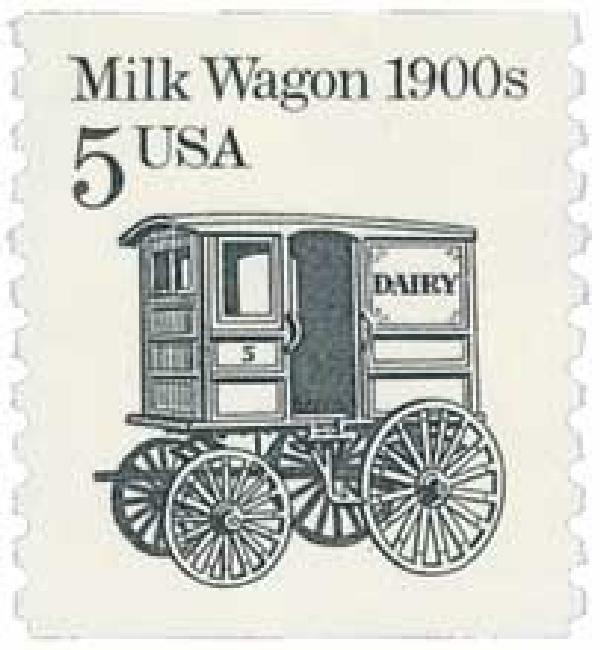 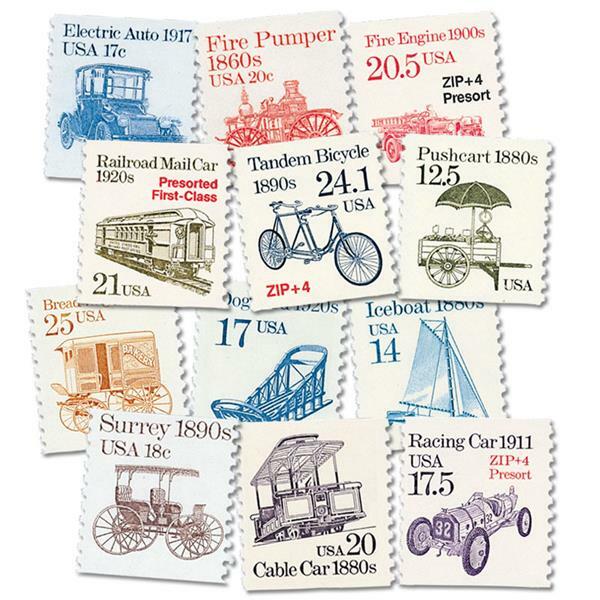 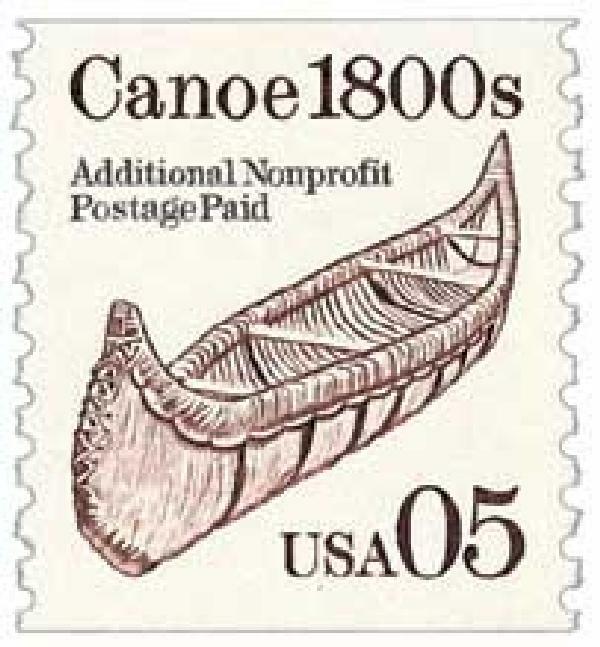 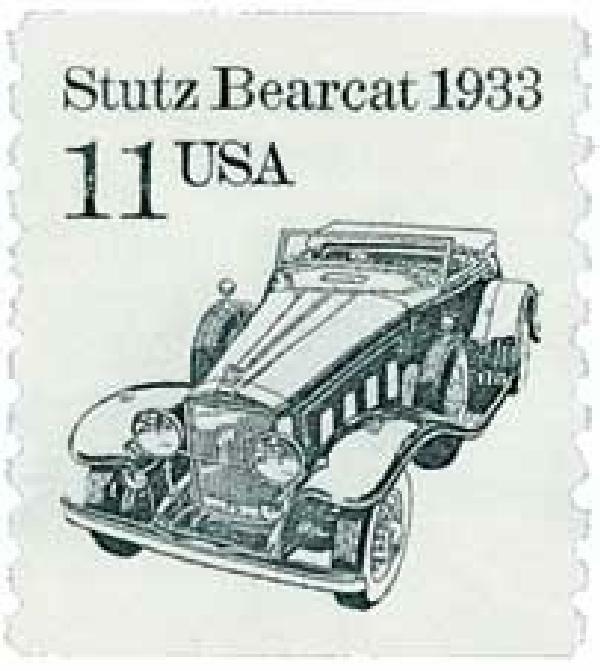 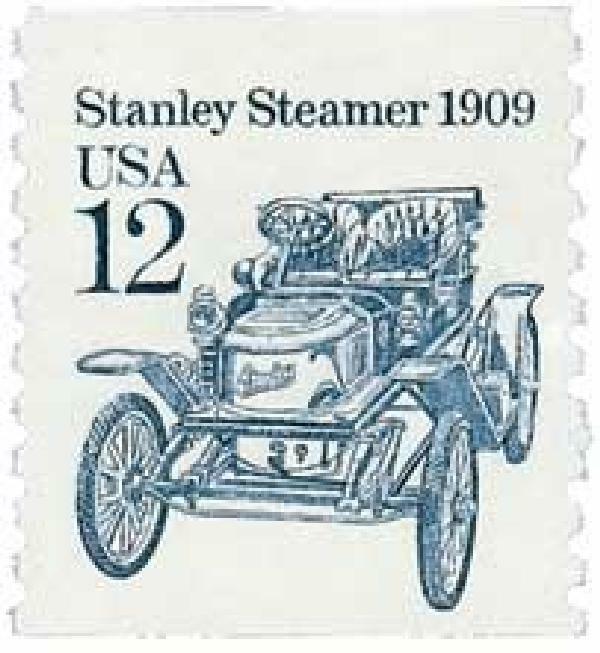 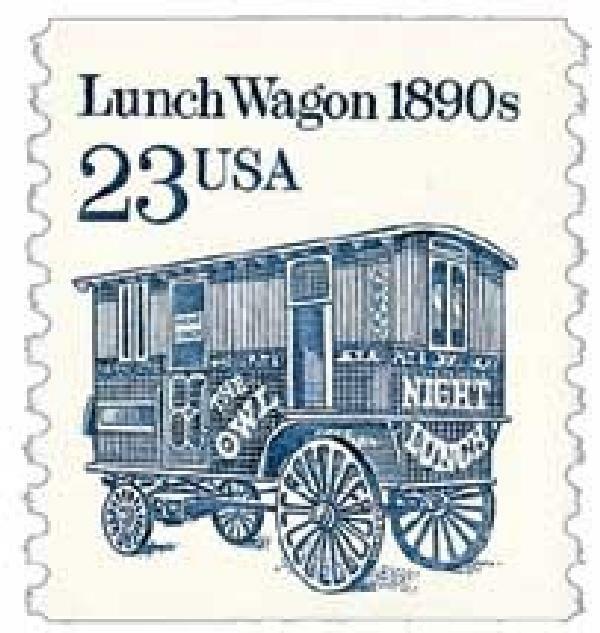 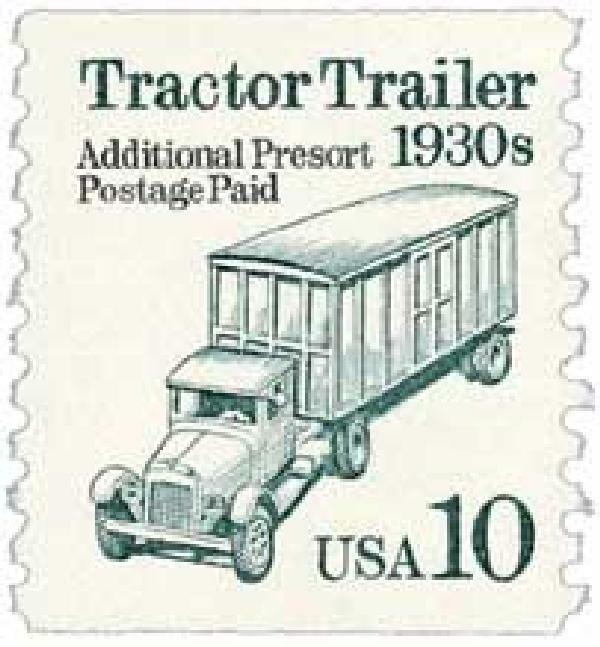 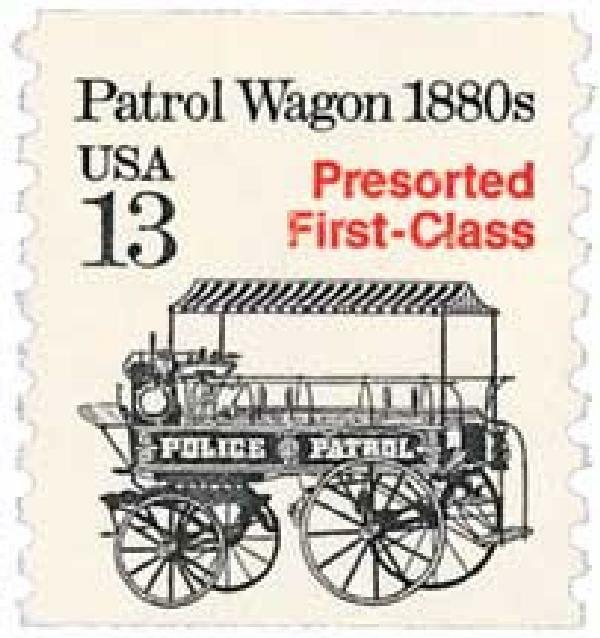 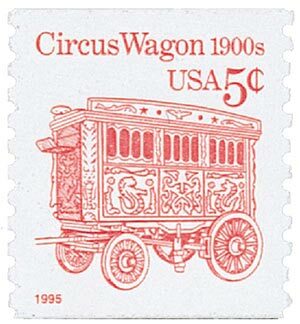 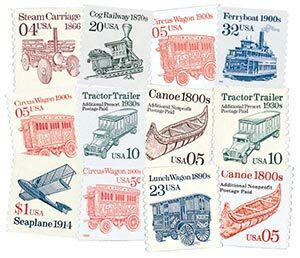 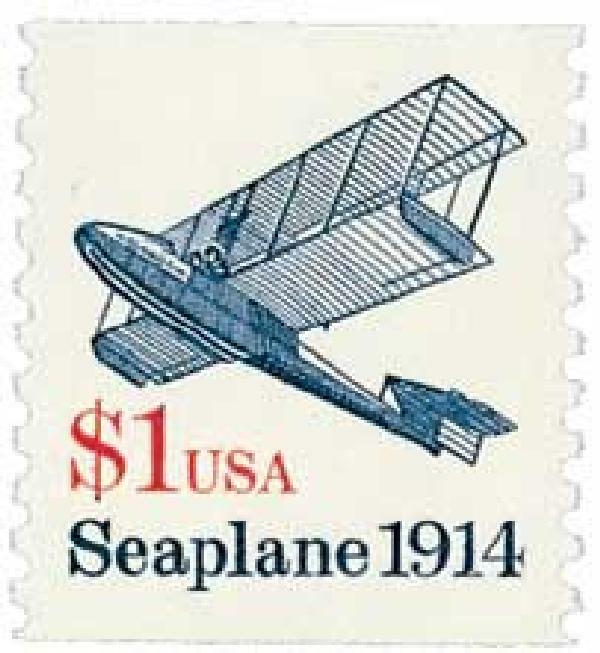 The Transportation Series contains 59 stamps with engraved designs featuring modes of transportation from the baby buggy to the racecar.